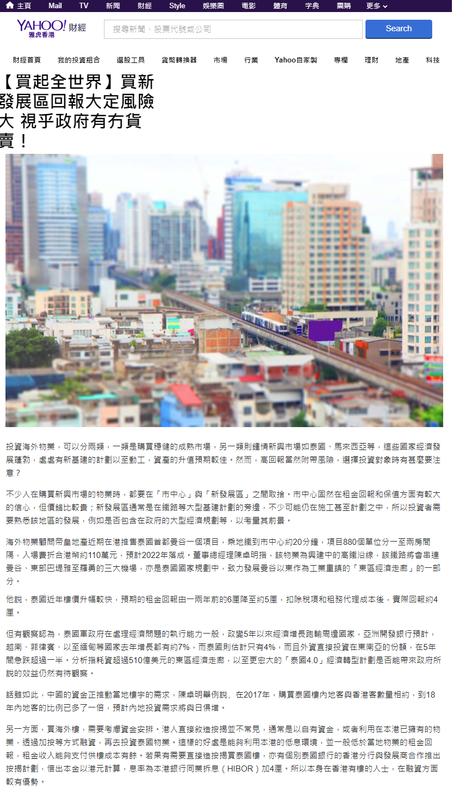 The Thailand 4.0 Economic Model and Eastern Economic Corridor are the major driving forces towards Thailand’s upcoming economic emergence. 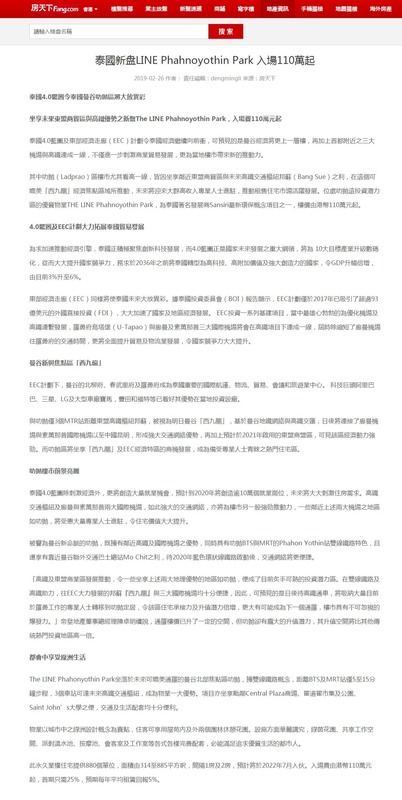 The initiatives will position Thailand as a digital economy and a high-technology manufacturing hub, both to rapidly stimulate the country’s development. 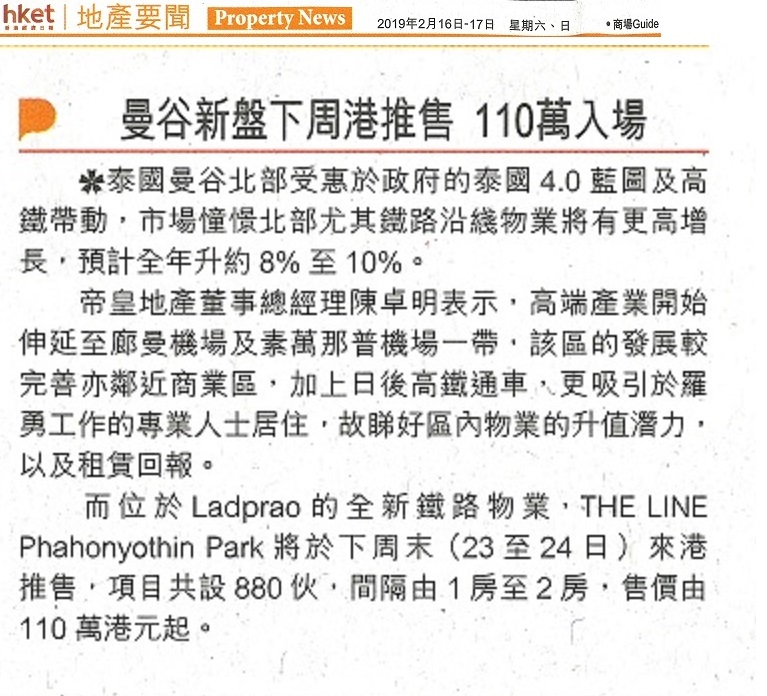 The media has reported the positive advantages that will aid to stimulate Bangkok’s property market. 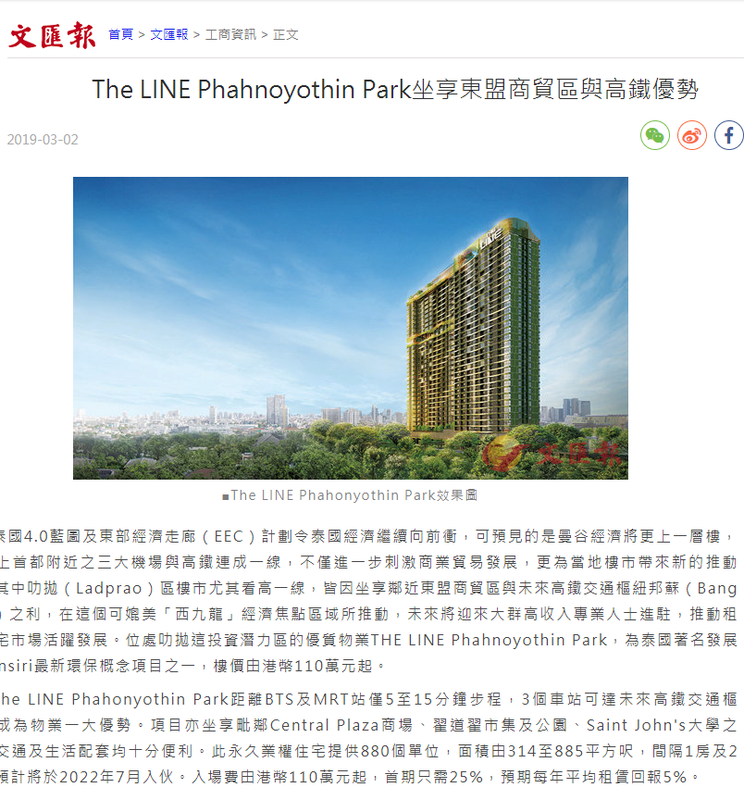 Sansiri’s latest residential project, The LINE Phahnoyothin Park, nestled nearby the future ASEAN business center and High-Speed Rail hub, is also featured across the media along with additional insights on Bangkok’s property market trend and investment opportunities from Golden Emperor Properties’ Managing Director, Mr. Terence Chan.